杨有林, 陈海波, 王建林, 等, 2018. 宁夏智能化综合气象业务服务共享管理平台设计与实现[J]. 气象, 44(7): 961-968. DOI: 10.7519/j.issn.1000-0526.2018.07.012. YANG Youlin, CHEN Haibo, WANG Jianlin, et al, 2018. 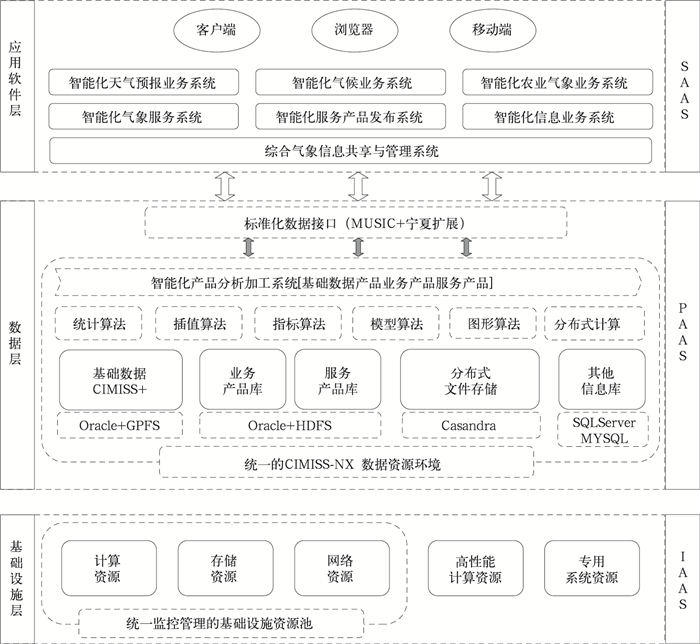 Design and Implementation of Ningxia Intelligent Integrated Meteorological Business Service Sharing Management Platform[J]. Meteorological Monthly, 44(7): 961-968. DOI: 10.7519/j.issn.1000-0526.2018.07.012. Abstract: Using standardization, intensification, intelligence concepts, this paper presents the design idea and overall structure of Ningxia Intelligent Integrated Meteorological Service Sharing Management Platform (NXIIMSSMP) based on the cloud deployment technology, and builds the Ningxia meteorological basic database, operational product database, service product database, as well as the automation generation system of operational products, intelligent production system of service products, intelligent publishing system of service information and information sharing and management system. The design of standardization system based on intensive data environments is given by means of storage standardization, standardization of data service interface, standardization of data resource management, and standardization of data processing process. Through the operation system intensification and data intensification, a data-driven intensive system is designed to form a unified data processing pipeline. The intelligent requirements are emphasized in NXIIMSSMP. 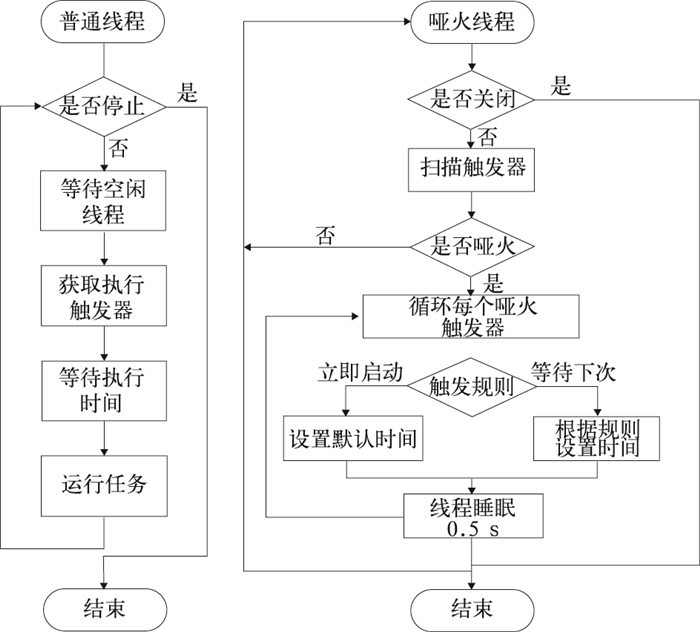 Meanwhile, the intelligent data analys algorithm and system operation control are designed. In addition, we are exploring some methods of operational product automation processing, intelligent production of service products, and intelligent release in this system. The platform design concept is advanced. With frontier technology, concise procedural flow, complete function, and efficient operation, it fully embodies the requirements of standardization of data resources, intensive operation system and intelligent calculation. The development and construction of this platform would greatly promote the meteorological modernization process in Ningxia Hui Autonomous Region, and also the development of intelligent meteorology. 董迎玺, 2008. 基于SOA架构的省级气象业务集成平台设计与实现[D]. 成都: 电子科技大学. 杜鹏, 杨蕾, 2013. 智慧旅游系统建设体系与发展策略研究[J]. 科技管理研究, (23): 44-49. 季永华, 孙超, 刘一鸣, 等, 2017. CIMISS中气象观测资料处理入库效率优化方法[J]. 气象科技, 45(1): 30-35. 李社宏, 2014. 大数据时代气象数据分析应用的新趋势[J]. 陕西气象, (2): 41-44. 沈文海, 2015a. 气象信息化进程中云计算的意义[J]. 中国信息化, (3): 80-88. 沈文海, 2015b. "智慧气象"内涵及特征分析[J]. 中国信息化, (1): 80-91. 沈文海, 2015c. 气象业务信息系统未来基础架构探讨——"云计算"和"大数据"在气象信息化中的作用[J]. 气象科技进展, (3): 64-66. 沈文海, 2017. 构建完备的气象数据管理体系[J]. 中国信息化, (2): 82-91. 苏颖, 樊重俊, 2016. 智慧交通中大数据应用面临的挑战与对策研究[J]. 物流科技, 39(6): 89-91. 王娟, 袁顺, 易丁, 等, 2016. 贵州省气象云计算平台的研究与设计[J]. 福建电脑, 32(3): 132-134. 王垒, 2016. 面向服务的气象大数据[J]. 陕西气象, (4): 36-39. 肖卫青, 杨润芝, 胡开喜, 等, 2015. Hadoop在气象数据密集型处理领域中的应用[J]. 气象科技, 43(5): 823-828. 许庆瑞, 吴志岩, 陈力田, 2012. 智慧城市的愿景与架构[J]. 管理工程学报, 26(4): 1-7. 许晔, 孟弘, 程家瑜, 等, 2010. IBM"智慧地球"战略与我国的对策[J]. 中国科技论坛, (4): 20-23. 杨润芝, 马强, 李德泉, 等, 2012. 内存转发模型在CIMISS数据收发系统中的应用[J]. 应用气象学报, 23(3): 377-384.